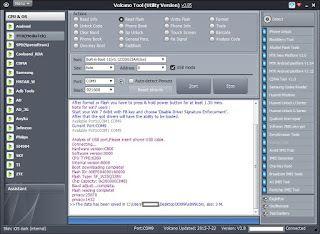 Here is the download link of volcano tool or volcano utility v3.0.5, download and enjoy the latest version of volcano box and flash MTK, SPD, Mstar, Coolsand and Android phones. 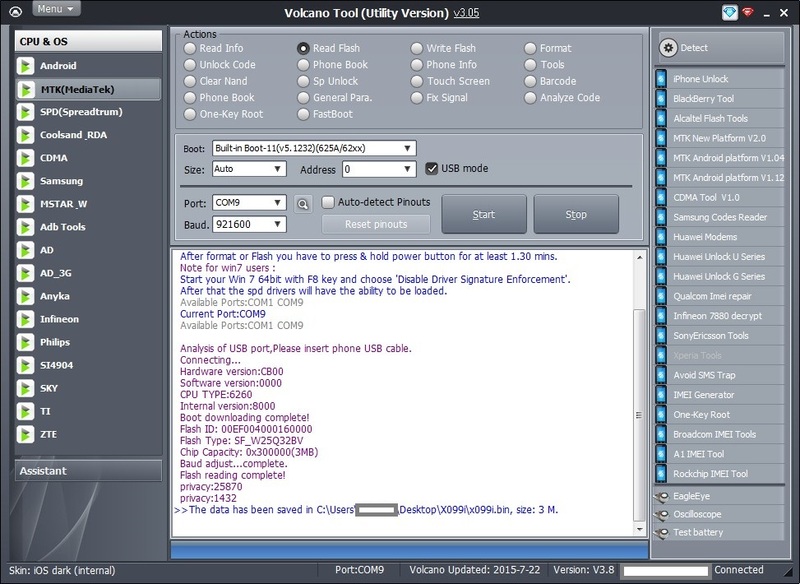 See the below details of volcano tool latest version and download it. The update has many more features and added PIN lock and advance adb root and also support some new flash EMMC features. MTK Android +EMMC ,reset Pattern lock, PIN lock, Password lock.